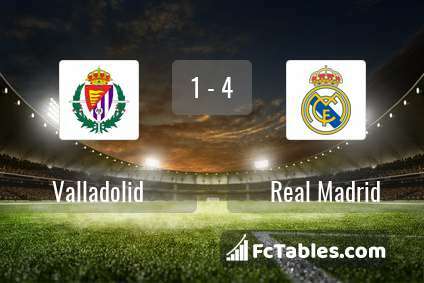 The match Valladolid-Real Madrid La Liga will start today 19:45. Referee in the match will be Jesus Gil. Team Valladolid currently is on lower place in table (16 position). In 5 last matches (league + cup) team gain 1 points. From 5 matches can't win a match. The best players Valladolid in La Liga, who scored the most goals for the club: Oscar Plano 3 goals, Enes Unal 3 goals, Ruben Alcaraz 3 goals. Most goals developed: Oscar Plano 3 assists, Enes Unal 1 assists, Ruben Alcaraz 1 assists. Injured players Valladolid: Luismi, Borja Fernandez, Stiven Plaza. Team Real Madrid is at the top place in the table (3 place). In 5 last matches (league + cup) team gain 9 points. away from 6 matches team have not been defeated. The best players Real Madrid in La Liga, who scored the most goals for the club: Karim Benzema 11 goals, Gareth Bale 7 goals, Sergio Ramos 6 goals. Players with the most assists: Karim Benzema 2 assists, Gareth Bale 2 assists, Sergio Ramos 1 assists. Injured players Real Madrid: Daniel Carvajal, Lucas Vazquez, Marcos Llorente, Vinicius Junior. Direct matches: usually ended with winning of Real Madrid. 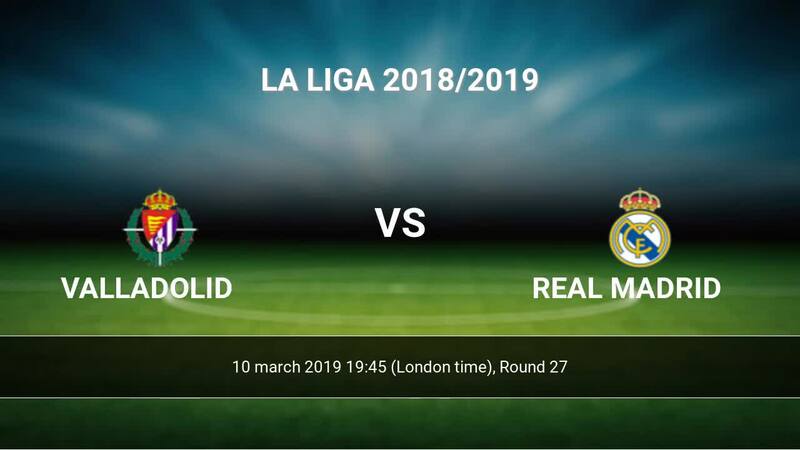 Balace of both teams games are: 3 won Valladolid, 13 wins Real Madrid, 7 draws. 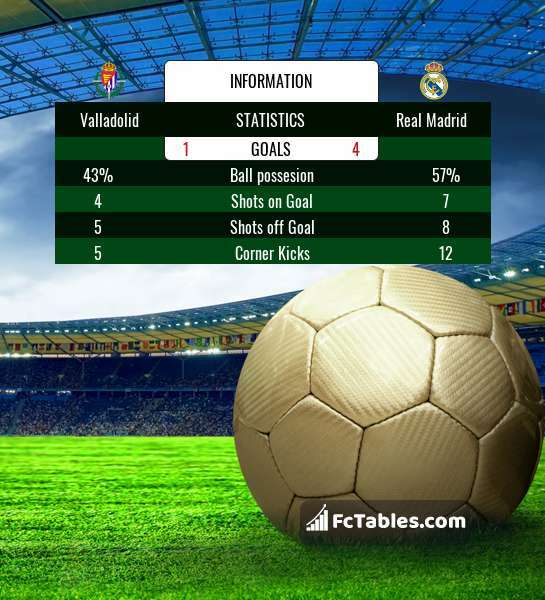 In 13 matches the sum of the goals both teams was greater than 2.5 (Over 2.5). On the other hand, 19 matches teams scored more than 1.5 goals (Over 1.5). In 15 matches the both teams have shot at least one goal.